There was the Belfast docks strike in 1907, in which two young workers were killed; the Cork City strike of 1909, one of the first by the ITGWU, which was founded that year; the Jacob’s biscuit factory strike in Dublin in 1911, which led to the founding of the Irish Women Workers’ Union; the Pierce iron foundry strike in Wexford in 1912, during which the RIC batoned a worker to death; and the Larne factory strike of 1913. The Sligo town strike of 1913 showed, on a smaller scale, many of the features of the great Dublin confrontation just a few weeks later. Sligo was a thriving port, attracting workers from across the West and North-West of Ireland. But pay and conditions were miserable and, as in Dublin, the housing conditions of workers and their families were dire. The rate of tuberculosis was higher than the Irish average. Jim Larkin had visited the town in 1912 and was denounced by the Catholic Bishop Dr Clancy who said that “no respectable citizen of our town and county will take part in the meeting at which this man is advertised to speak”. 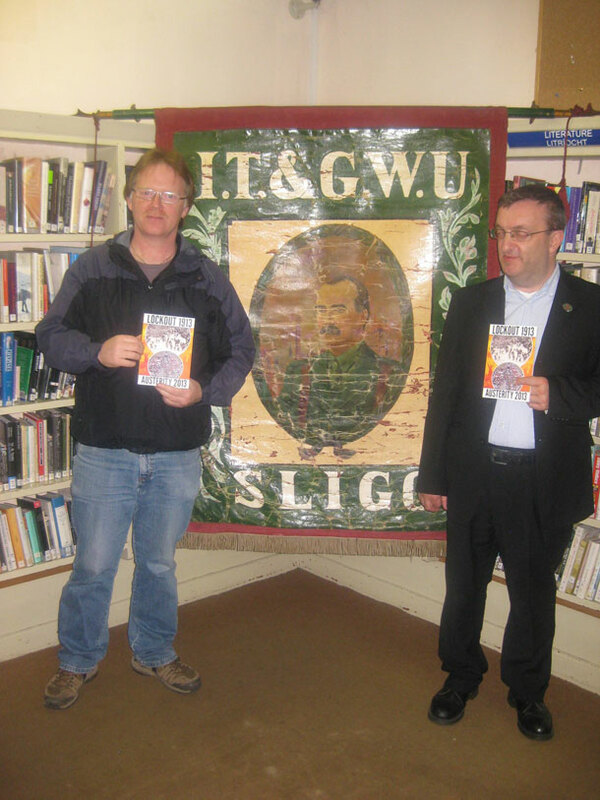 Nonetheless, the meeting went ahead and the ITGWU was established and active in Sligo. The 1913 dispute began in March when workers on the steamship Sligo demanded more help or, failing that, extra wages. The employers refused and five workers who stopped work were arrested, prosecuted for disobeying a “lawful order” and received seven days’ hard labour. ITGWU dockers refused to load the ship and the strike extended throughout the docks, with coal workers striking. In a pattern that would be repeated in Dublin, the employers imported scab dockers from Liverpool. The Royal Irish Constabulary and British troops were deployed in large numbers. Strikers fought the scabs (also known as ‘blacklegs’) and the RIC baton charged the workers. In one confrontation, a blackleg named Garvey struck a union member, Dunbar, on the head with a shovel and the assault proved fatal. Dunbar’s name was added to the list of workers who had died in the struggle for justice since the ITGWU was founded three years earlier. Sligo County Council denounced Larkin’s “foul, anti-Christian doctrines” but the strikers had widespread support and large public meetings were held in the Town Hall with the backing of the Mayor. Senior ITGWU official PT Daly came from Dublin and a settlement was reached at the end of May, preserving the right of the workers to organise and improving working conditions. Among those who visited and supported the striking workers in Sligo was the republican cleric from Roscommon, Fr Michael O’Flanagan, later a leader of Sinn Féin, campaigner for social justice and supporter of the Spanish Republic against Franco. The Sligo town strike of 1913 was a significant struggle in itself and a foretaste of the Great Lockout that began 100 years ago this summer.